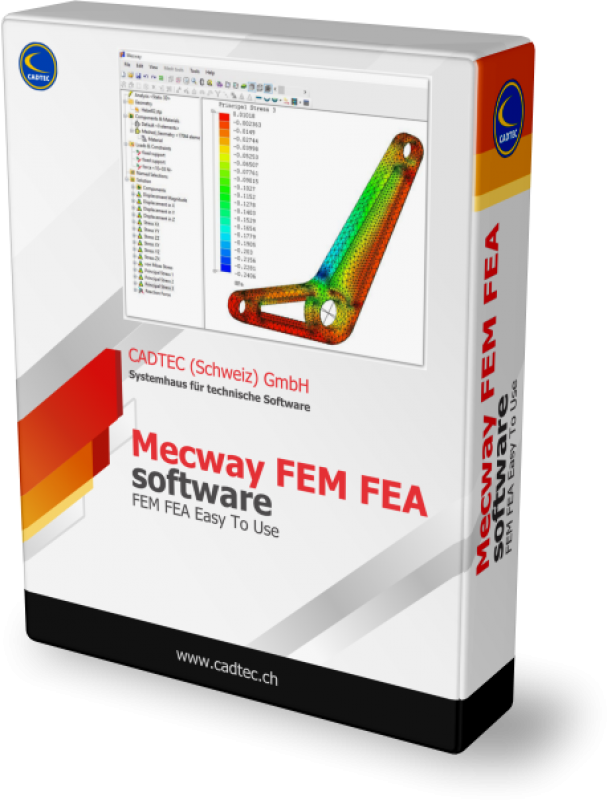 dst Design Simulation Technologies, Inc.
Mecway ist ein umfassendes, benutzerfreundliches Finite-Elemente-Analyse-Paket, geeignet für jedes CAD-System mit Schwerpunkt auf mechanische und thermische Simulation wie Stress-Analyse, Vibration und Wärmefluss und verfügt über eine intuitive grafische Oberfläche. • Lineare dynamische, statische, geometrische Nichtlinearitäten, thermische, Knicken, akustisch, usw. • 32 Bit Windows für Modelle bis 50'000 Knoten. • 64 Bit Windows, 16GB RAM für Modelle > 1 Million Knoten. Meshing Tools Automesh, refine, unrefine, extrude, revolve, sweep, merge, smooth, hollow, fit to cylinder, torispherical head, etc. Post processing Animation, contour plots, deformed view, export to spreadsheet, integration, formulas, stress linearization, etc. Mecway comes with two solvers (internal and CCX) which you can easily switch between. They each support a different but mostly overlapping set of features. As well as its own solver, you can use Mecway as a pre- and post-processor for the open source CalculiX CrunchiX solver (CCX). Many features of CCX are available though Mecway's interface with no need for any manual configuration, commands or keywords. CCX is an external package written by Guido Dhondt and other authors. 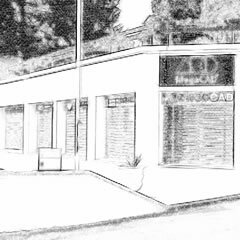 It is distributed under the GNU General Public License Version 2 and is not part of Mecway. However, as a convenience, it is included with Mecway's installer. 16GB RAM and 100GB hard disk space are required to solve large models up to 1 million nodes.